Click HERE to download art. Nickelodeon’s Rise of the Teenage Mutant Ninja Turtles. Pictured (clockwise): Raphael, Michelangelo, Leonardo, Donatello and April O’Neil. 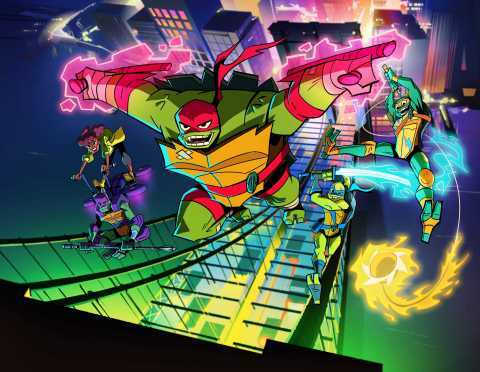 BURBANK, Calif.--(BUSINESS WIRE)--Nickelodeon today revealed a first-look of the characters in its brand-new animated series, Rise of the Teenage Mutant Ninja Turtles, which follows the band of brothers as they discover new powers and encounter a mystical world they never knew existed beneath the streets of New York City. The 2D-animated series debuts later this year on Nickelodeon.